Happy World Snow Day! 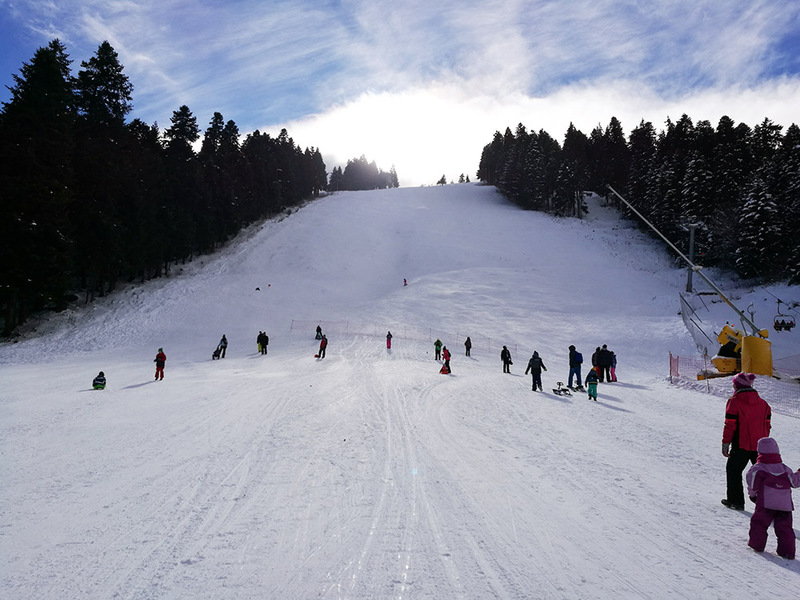 As many of you already know, January 16th has been set as the official holiday of snow by the FIS, but Borovets will be celebrating on Saturday, the 19th, along with many other resorts in the world. As every year, there will be some festivities planned, but we’ll have more details on that in a separate blog post. 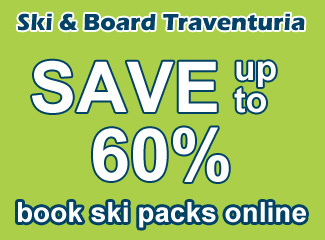 Right now we’re in the low season, so you can expect fewer people on the slopes. Windy Yastrebets Express top station. 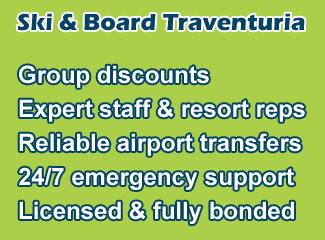 It’s been very windy the last few days here in Borovets and due to this, the Markudjik Ski Center was closed, including today. Good news is that the forecast shows today being the last windy day, with a sunny Thursday and Friday in store. According to the Borosport meteo-stations, which show wind speed in real time as well, the wind is still around 15m/s up in the Markudjik Ski Center, so if it doesn’t die down overnight, we’re not sure if the gondola will work tomorrow. But for today, the gondola was only open to its midway station, servicing the Yastrebets Ski Area. Other than the top part of the gondola and the Markudjik Ski Center, the rest of the resort wasn’t affected by the wind and was operating as normal. On the Yastrebets Express, which was the highest working lift these days, only at its last 100m could you feel the heavy wind, once outside of the forest. 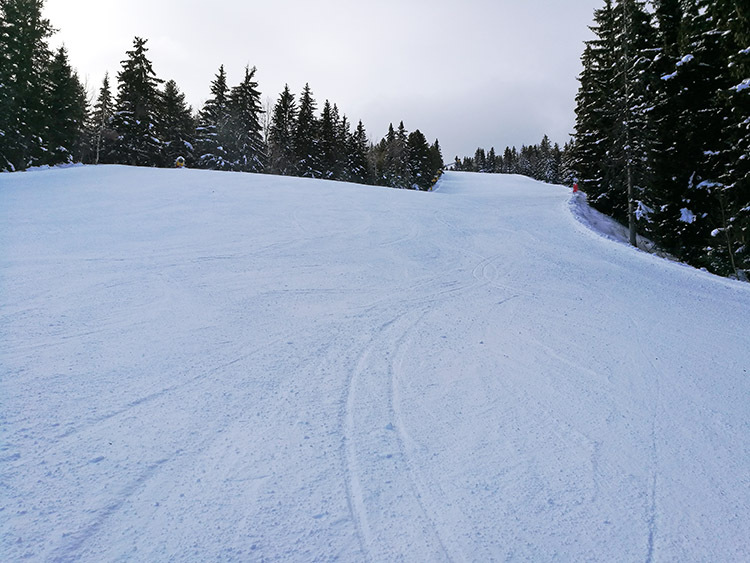 Lift lines were minimal today, with only a little bit of queuing for the beginners’ surface lifts in the Sitnyakovo Ski Area. Honestly, the Yastrebets Ski Center felt kind of like a ghost town today, it’s the first time I’ve seen it so empty, even on a weekday. But that’s good news for anyone who also made it out today. 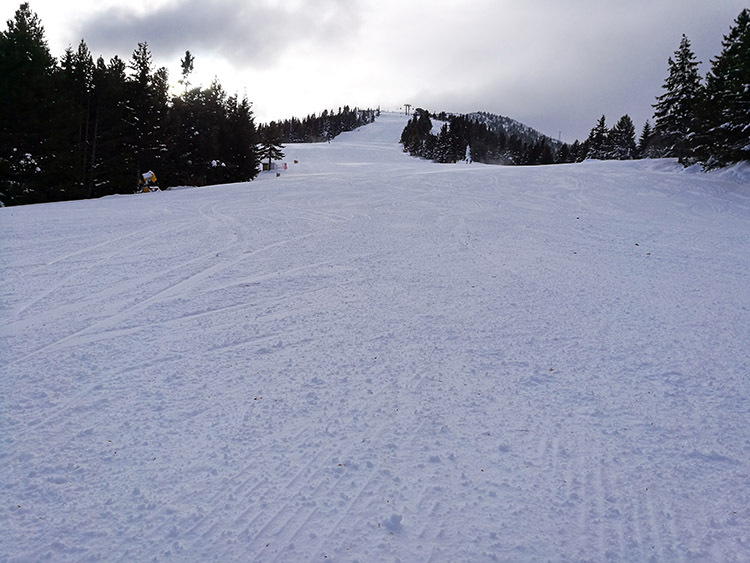 We did mention the slopes were empty? 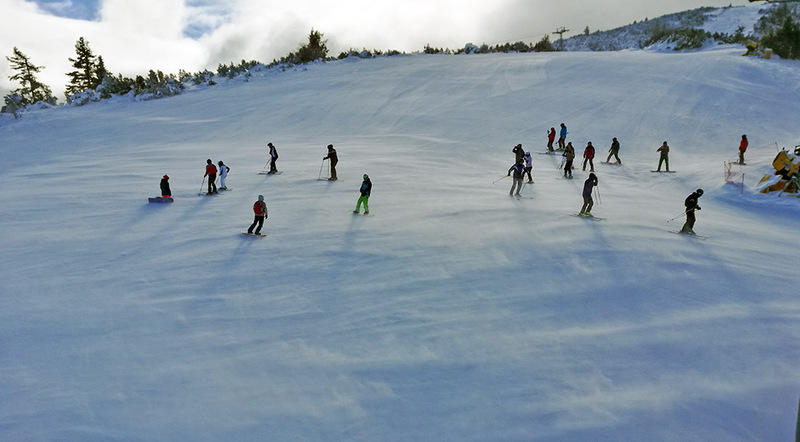 Slope conditions were pretty close to perfect today on the Popangelov and Yastrebets pistes. 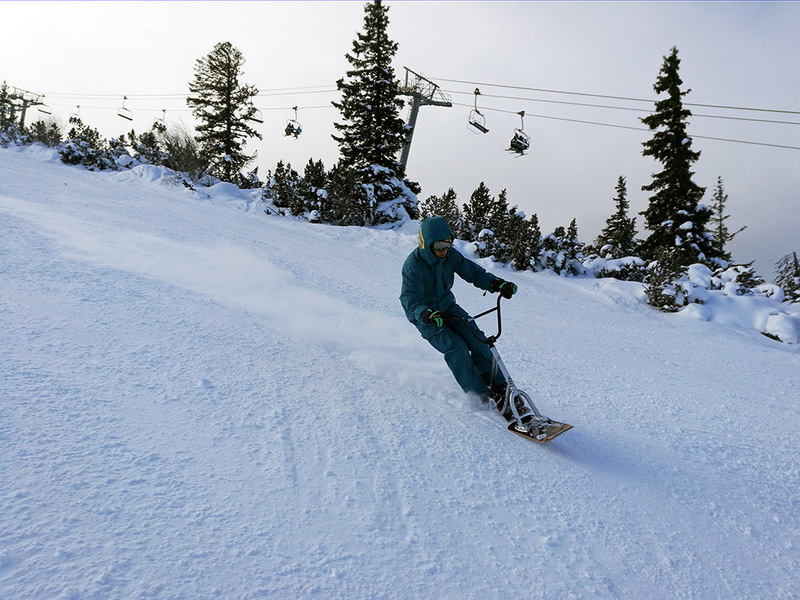 Cold weather and no people make for some fine runs, which didn’t deteriorate by the afternoon. Out of the 3 pistes in the Yastrebets Ski Center, today they were ranked from best to worst like this: Popangelov, Yastrebets 1, Yastrebets 3. In the Sitnyakovo Ski Area, things weren’t too different, but there were more people and the slopes did deteriorate more than up top. We don’t know how the wind will have affected the Markudjik Ski Center, but once we find out we’ll let you know. Good news is that the Musalenska pathway is open, we’ll have a video from there very soon. 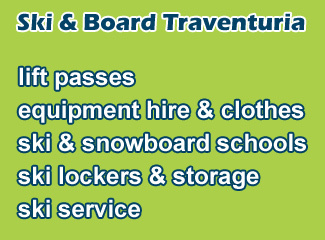 If you were wondering, snowscoots are allowed in Borovets, unlike other Bulgarian resorts. The end of the Cherveno Zname run has been turned into a sled only area, perfect for the kids.